The 2015 BC Team would like to thank all our members across the province for all your support. Without you, this would not be possible. 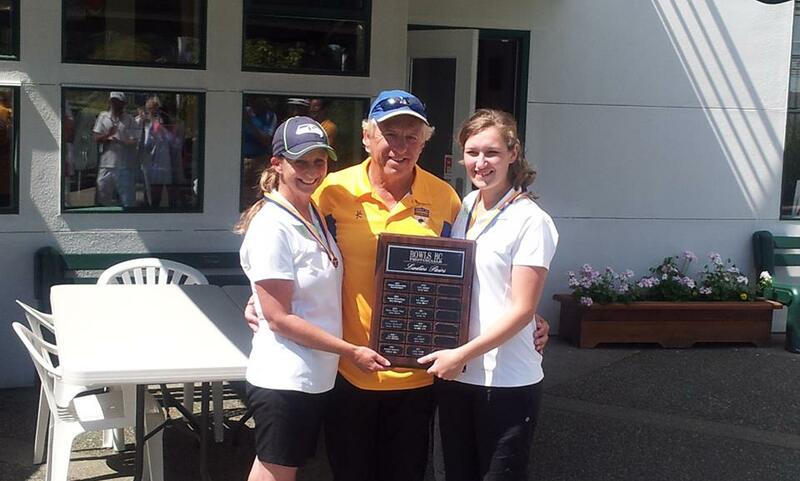 The 2015 BC team looks forward to representing BC and we are proud to have the opportunity to represent our province. Here are some special thanks you’s from some of our athletes and coach! We have 22 bowlers and they all belong to various clubs, going to represent BC at the Nationals in Toronto. 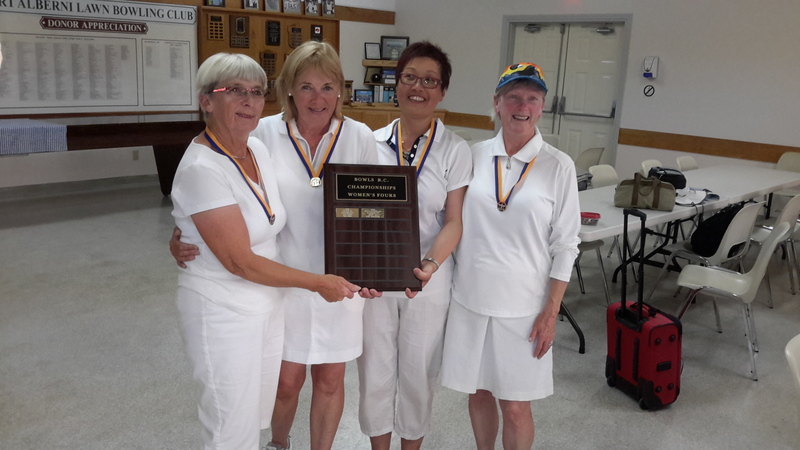 They would not be going there if it were not for there member clubs, the clubs who hosted the Provincials and all the Volunteers that made these events happen. We thank you, each and everyone of you. BC has only one standard, The Gold Standard. Cheers, Davie Mathie. Coach BC. 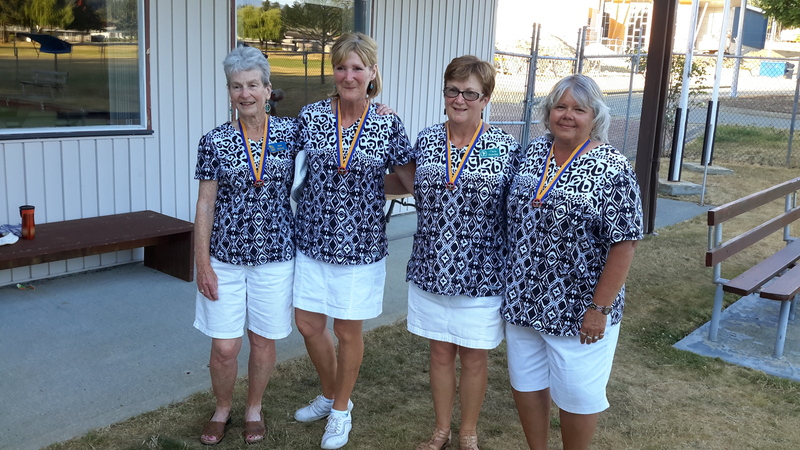 The BC Ladies Fours Team has proudly represented BC in four National Championships winning three National Silver Medals. It has been a great honour for us to represent BC over the past several years and we have worked hard on drills and practice so that we can play to the best of our ability. This year we have a new team member and we are delighted to welcome Anne Mathie to our team playing in the Vice Skip position. 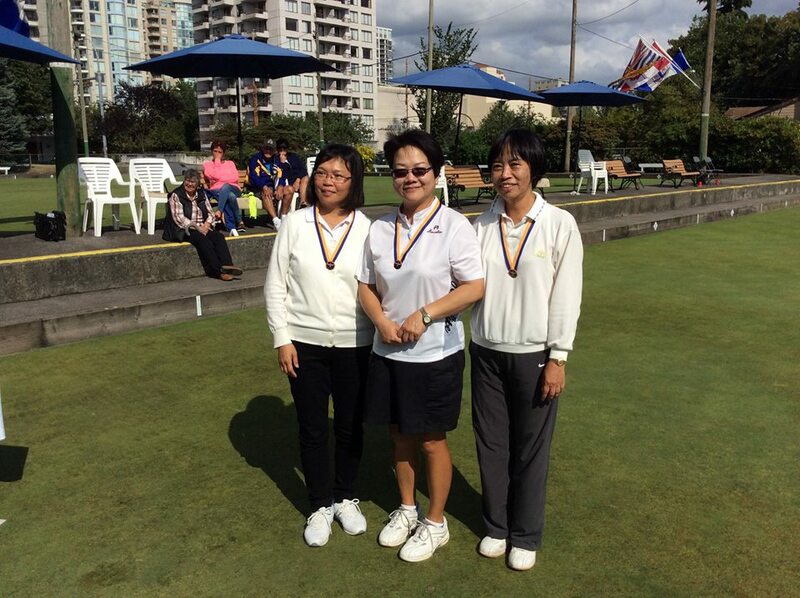 We are hoping that we can bring a National Gold Fours Medal back to BC this year as a way to say THANK YOU to the lawn bowlers of clubs across BC who financially support us and help to make our attendance at the Championships possible . BC is recognised as a having some of the best bowlers both Nationally and Internationally and this would not be possible without the support from the club members throughout BC. 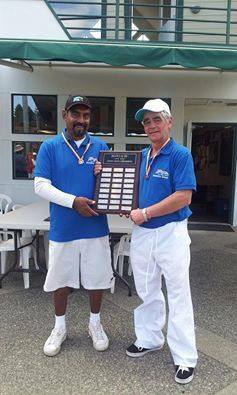 I would like to thank the countless numbers of volunteers across BC who give their time…working on the greens, running tournaments, coaching bowlers and promoting our sport!!! A special thank you to all the volunteers that keep us fed!!! Going for Gold 2015! We are proud to represent such an awesome Province and Bowling Community. Thank you all for all your support! 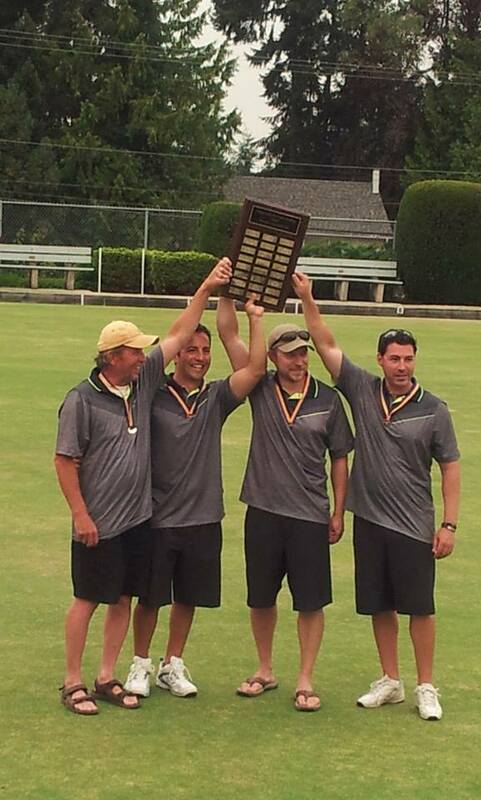 The men’s triples team would like to thank everyone for all the support, and best wishes we have received. We will work hard, dig in and produce the best bowls we can, to represent you all. BC has set high standards by being the most successful province, winning the most Canadian Titles. It would be an honor for us to add to that list. 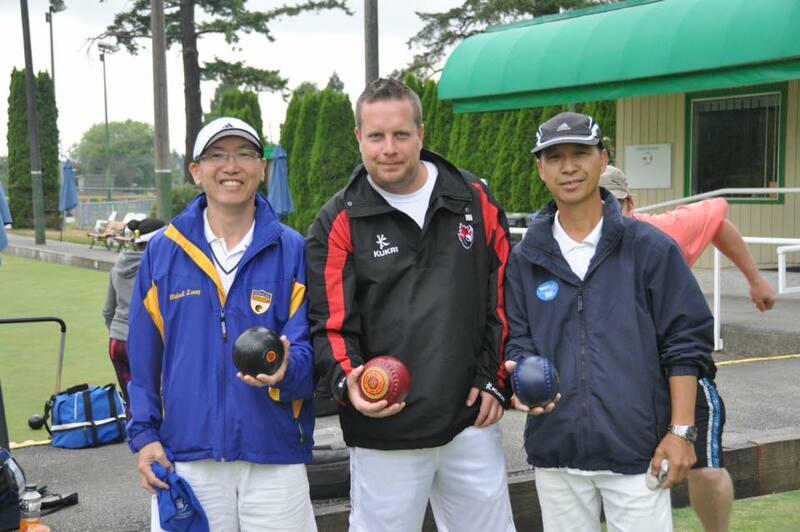 Good Bowls, and hope to bring back the gold for all of us! In recognition of your achievement in winning the B.C. Pairs Championship, our Board (Home Club) has agreed to send you $100 to help defray your traveling expenses. I realize that this is not a large sum but we want you to know that our club is behind you and we will be cheering you on (if only from a distance————–a BIG TY from my team mate Hirendra Bhartu and myself Thank you all for all your support and to the host clubs for supporting all the qualifying events!